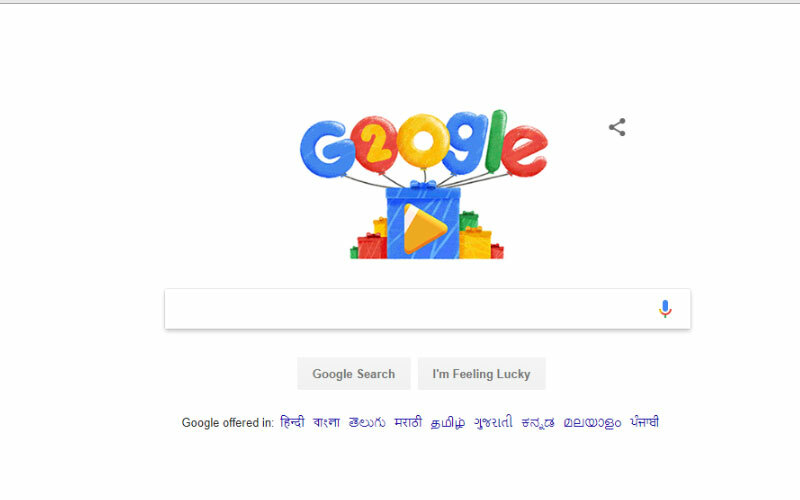 The search engine giant Google celebrates its 20th birthday, the company incorporated on September 4, 1998, but the company celebrates its birthday on September 27. Well, today the company turns 20 years and I have no words to explain the success of this company. Larry Page and Sergey Brin, these two guys started the search engine giant in Menlo Park garage and from there the company goes to the top of the world, and now there is no field is there, where the company hasn’t touched. During these years, the company has developed lots of technologies and it touched every field and that includes the robotic technology and that can used cars even without a driver, the company also utilized innovative technologies like artificial intelligence, augmented reality, and machine learning. All these things used by the company and developed tons of new innovative projects and applications which help us in our day to day life. Furthermore, the company also taking its efforts in the IoT to give a more amazing experience. That’s not all, the company also entered in the hardware industry in 2016. And the company came with the really amazing products and that includes the Pixel smartphones and it offers stunning performance. The company got success in all the areas where it touched, and the company also developed the most favourite operating system in the mobile industry and that is Android, the operating system offers lots of customization and it is improving day by day. The company only faced a disappointment in the social media platform where it affected with the social media giant Facebook but still, it is managed to fight back with the YouTube, as the company strengthens it with the latest technologies and tools and the YouTube is the most favourite video platform. 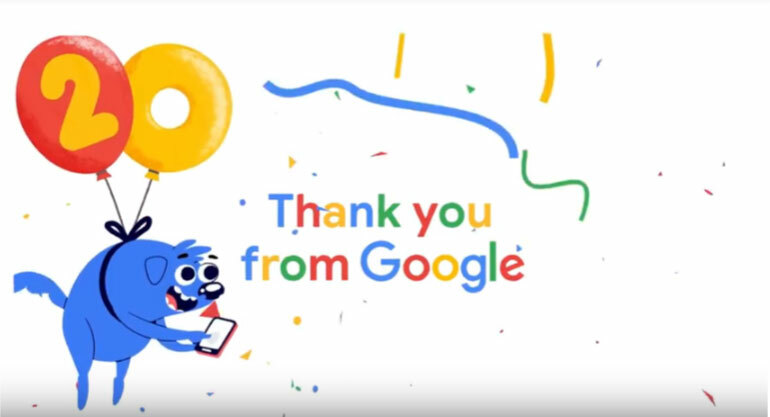 To celebrate the 20th birthday the company has shared a video Doodle which takes us to the memory lane by exploring popular searches all over the world throughout the last two decades. Moreover, the company also shared a street view tour of the original garage where the company founded and the company also made something which will allow you to find more Google memorabilia. The company has done lots of things and it also has to do many things, and I would love to say that Google is a perfect example to get inspiration to bring success in our life. The entire TechnoBugg team wishes all the very best to the Mountain View company Google.